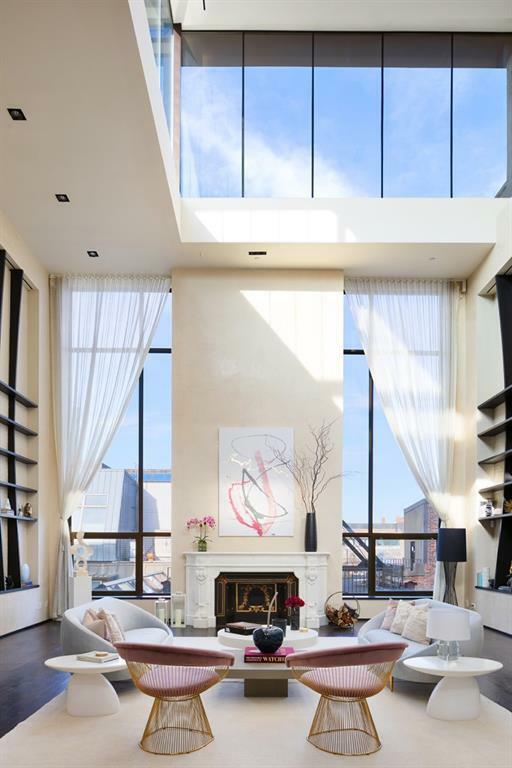 Located on historic Greene Street in SoHo and high above the cobblestones streets comes one of the most incredible Penthouse spaces ever created! 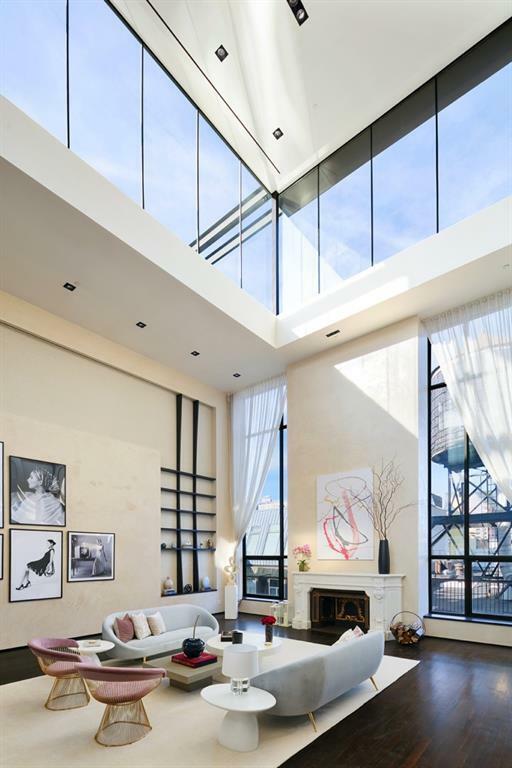 With 36 Foot Ceilings, flooded with light and panoramic views and covering in excess of 10,000 square feet of indoor and outdoor space, there is nothing like this home.A true masterpiece and ready to be one of the most special spaces in all of New York, this is a once in a lifetime opportunity. 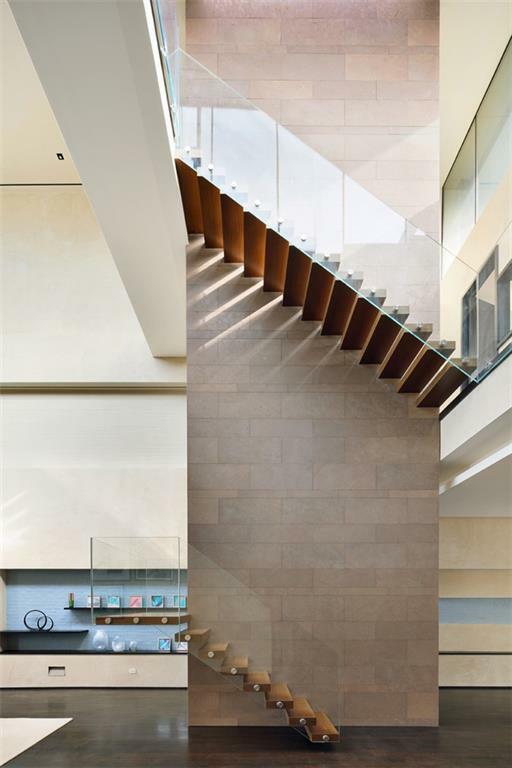 The second you step in the door, your eyes are pulled past the gracious entry foyer and you start to move towards the most spectacular floating staircase. As you move closer and into the great room your eyes move up and a sense of wonder and amazement overcomes you, as the volume of the space leaves you speechless. 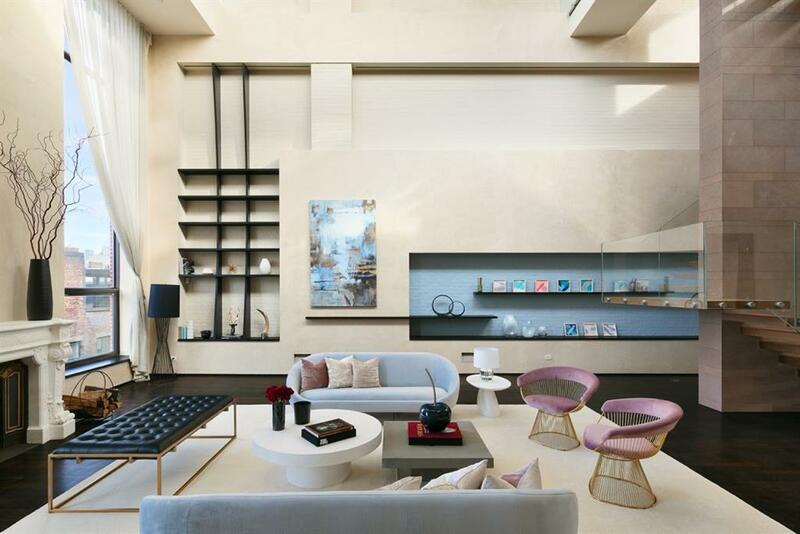 With a 2-story book case, exposed brick and venetian plaster walls on the northern and southern walls and book-ended floor to ceiling windows on the western wall centered by a massive antique marble mantle you realize you have never been in a home as special. To finish it off, the top 12 feet of the room feature 3 sides of floor-to-ceiling windows and views of the Downtown Skyline. Stretching 82 feet long and 27 feet wide with light pouring in all day, this is the pinnacle of all Great Rooms.While the home encompasses 5 separate and ideally situated outdoor spaces and the living areas are on 3 floors, the main floor is around 6,000 square feet with a separate and private bedroom wing which perfectly balances the show stopping Great Room. Currently configured as 4 bedrooms with a massive kitchen on the mezzanine level, the space has endless possibilities for the creative mind to work its magic.Located in Historic SoHo in a restored cast iron building on cobble-stoned Greene Street, this Condo Penthouse is located in the middle of one of the most culturally significant neighborhoods in the city. Surrounded by some of the best shopping, galleries, museums, cafes, nightlife, and restaurants in the world, this is one of those rare opportunities that comes along once in a lifetime. Please call for a private viewing.